Now the excitement of the release of Brumby’s Run is settling down, I think it’s important to return to some more important issues – horses! More particularly, Equitana 2012. Equitana is the most anticipated annual equine event of its kind in the Southern Hemisphere attracting over 50,000 visitors. The next event will be held at the Melbourne Showgrounds from 15th to 18th November 2012. It will be four days of everything to do with horses, and will feature Olympic gold medallists, world renowned educators, aussie cowboys, an elite equine competition program and over 300 exhibitors making up the largest horsey shopping spree in Australia! This year there is a thrilling new addition to their outdoor competition program – the Australian Stockhorse State of Origin Challenge. 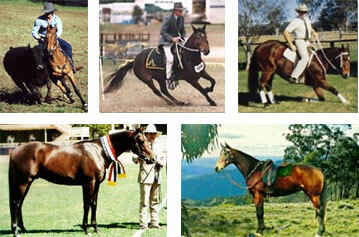 Ten top horses and riders, from different states will complete a tight and demanding time trial course. This challenge is a high action competition against the clock, with a strong component of crowd interaction and excitement. Obstacles will be set in Australian bush fashion, with loads of surprises for competitors. It will involve lots of fast paced, precision riding and I can’t wait to see the best of the best competing! 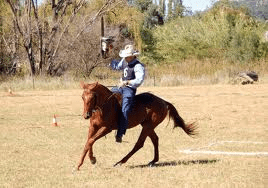 This entry was posted in Home and Family and tagged Australian Stock Horse, Australian Stock Horse Challenge, Australian Stock Horse State of Origin Challenge, Brumby's Run, Equitana, Time trial by jenniferscoullar. Bookmark the permalink.